The West Side Eagles faced off against the Bergman Panthers and the Shirley Blue Devils in a tennis match held today at Fairfield Bay. West Side's No. 1 boys doubles team comprised of returning junior and 4th place state tournament finisher Robbie Schmidt and his skilled first year tennis player Ashton Klepko beat Shirley's No. 1 boys doubles team Johnson and Littell 6-2 in their first match of the day. In their second match, Schmidt and Klepko played a heated set to six against Bergman's No. 1 boys doubles team Vanlear and Carico that ended in a seven point tiebreaker after the two teams tied 6-6. Bergman then bested West Side 7-6 in what has now become the closest match of the year for Schmidt and Klepko. West Side's No. 2 boys doubles team Braden Magness and Matthew Keaton lost 0-6 to Bergman's Stage and Mahler. Then beat Shirley's No. 1 Johnson and Littell 6-2 in their second match of the evening. West Side's third boys doubles teams comprised of first year tennis players Tanner Fife and Jared Cothren put their chemistry to work for them beating Bergman's No. 3 team Fultz and Good 6-4. First year boys singles player Kaleb Tangen played Bergman's Jackson 0-6 in his only game of the afternoon. There were no girls singles games played for West Side on the afternoon as the Eagle's Madison Bailey and Haley Gentry teamed up to compete in girls doubles play. In their only scored match of the evening, the girls bested Bergman's Baker and Rogers 6-0. The two girls are proving to be quite the competitive tennis players in girls doubles play. 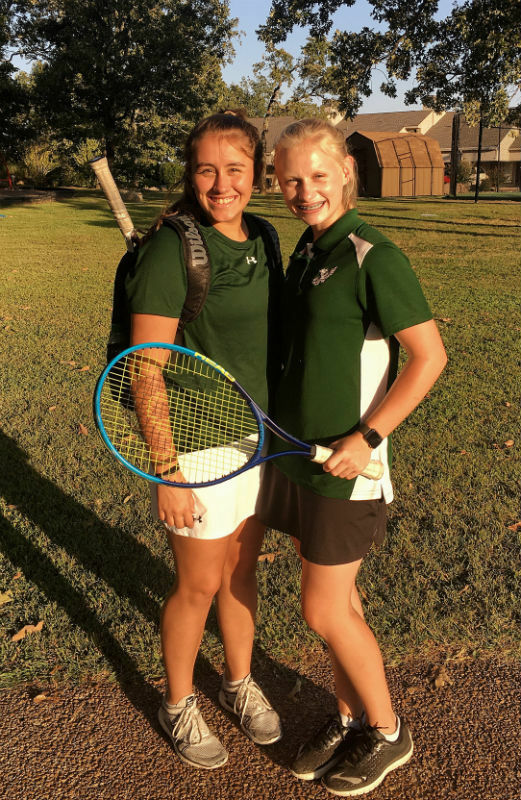 Also in girls doubles play, second year tennis players Alissa Allen and Kamren Johnson had their state tournament experience put to the test against Bergman's Honeycutt and Rogers, inevitably losing 0-6 to the panthers. Allen and Johnson played Wdgar and Vanlear 2-6 in their second match. Alex Southerland and Cassidy lost 0-6 to Bergman to finish off the day in girls doubles play. The tennis team will play their next match on Friday, September 15, at Fairfield Bay.